It’s time for me to list five books I loved reading this year, that were published in 2018 or 2017. As always, I leave off the big prize-winners and mega-bestsellers—the titles you’ve read about ten times in ten “top ten books” lists. I will give a quick shout-out to Less, a quiet, lovely novel I adored, that is still not much heard of, although it won the freaking Pulitzer Prize! Anyway, it is a must-read, especially for writers of a certain age, like me. 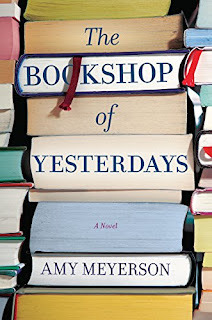 The Bookshop of Yesterdays by Amy Meyerson (2018) Though it isn’t a comedy per se, I did find myself nodding and smiling quite a bit during the time I spent reading The Bookshop of Yesterdays—time that went by far too fast. Though it takes place in my old hometown of Los Angeles (and environs), the book is truly set in an independent bookstore, and in the world of bookselling, among both writers and readers. So, yeah, what’s not to like? But this is no simple frolic through the shelves, with the author merely listing book titles like a name dropper at a Hollywood party; this book is a game, a puzzle, a literary journey through the life of a family and a literary community, and the story of a young woman rather belatedly coming of age, by discovering who she is, and what matters most to her. Pursuit by Indy Quillen (2017) Every now and then you discover a character in a book who you wish was a real person—and your friend, or mentor—so you could go visit and learn from them. Such a character is Indy Quillen’s Fox Walker. A Native American tracker, Walker is completely of this modern world (he works for both police and federal agencies, after all) and yet, somehow, is not truly living in it. His penchant for wearing moccasins and deer-hide clothing is just the outer trappings of his deep-seated difference—his soul resides on another plane, one peopled by the spirits of the trees of the forest, the creatures who call the mountains home, and the earth itself. Two other equally fascinating characters come along (you’d better start with the first Fox Walker book, Tracker), but to tell you any more about them would ruin the exciting, wide-ranging, edge-of-your-seat journey. First Corpse: the Appetizer by Carie Toler (2018) Sometimes you want to choose something that is just fun from the menu, and this light but suspenseful rom-com, set in “the city by the bay” is the perfect choice. 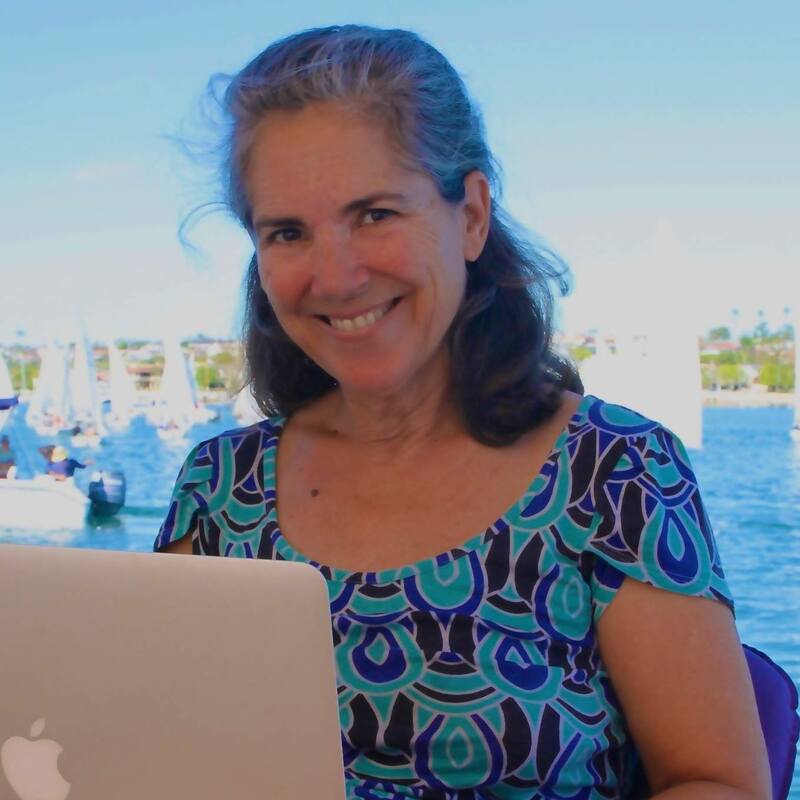 Celebrity foodie Layne Stevens is a heroine some of us gals will relate to, many will want to become, and every man—and a lot of women!—will dream of meeting. Even though it starts off with a dead body (of course) and is filled with intrigue, this book will satisfy your hunger for a great fireside read, and there are some insightful ideas about diet and health for dessert. I predict you’ll savor every delicious bite, but you might want to keep some chocolate nearby to handle the cravings. The Space Between by Dete Meserve (2018) As my readers know, I adored this author’s debut novel, Good Sam and her follow-up, Perfectly Good Crime. Also set largely in Los Angeles, in a similarly affluent neighborhood as those featured in her previous books, The Space Between is a wholly different animal. One could categorize it as a mystery thriller, or even as literary fiction, but neither of those genres would come close to explaining this compelling contemporary story. The book’s protagonist is a respected astronomer, mother of a teenaged son, and a wife—in that order. What happens when her restauranteur husband goes missing rearranges every priority in her world and soon changes everything in her life. Vita Aeterna by Jay Allan Storey (2018) I didn’t realize until I got to number five on the list that the first four authors were all women. Well, sorry to those who like consistency, because slot #5 belongs to Jay Allen Storey. I discovered this book through one of those services that sends you the free or bargain Kindle books for the day, and boy am I glad I did. I started reading it with a bit of trepidation, since most sci-fi—especially the dystopian stuff—is so hackneyed. But a skateboarding teenage protagonist in that bleak setting was irresistible, and off we went. So glad I took a chance on it. With its true-to-life characters and intricate cyber-details, this all-too-believeable, I-hope-it-isn’t-really-futuristic adventure is well worth the ride.